A few weeks back Dynamite Entertainment in the US released their third out of six continuation comics called VARGR written by Warren Ellis and drawn by Jason Masters. 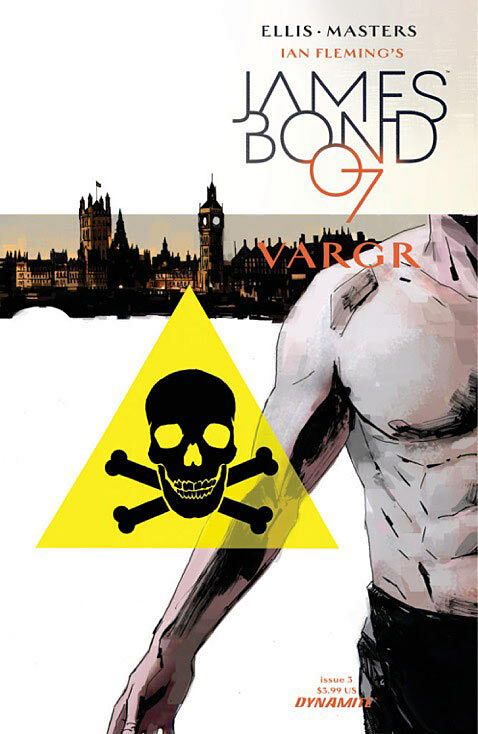 The first issue of this comic was released in 19 different covers and the second issue was released in seven different covers. The third and the latest issue was only released in two different covers. Since I no longer is to familiar with comics and how their release pattern is nowadays I was afraid that is was lack of sales for the comic that made the amount of covers less and less with each new issue. So I asked my comic retailer about this and he said that it is quite common that the first release of a new comic have lots of different designs to use as marketing. So (as we say in Sweden) there should be no danger on the roof. 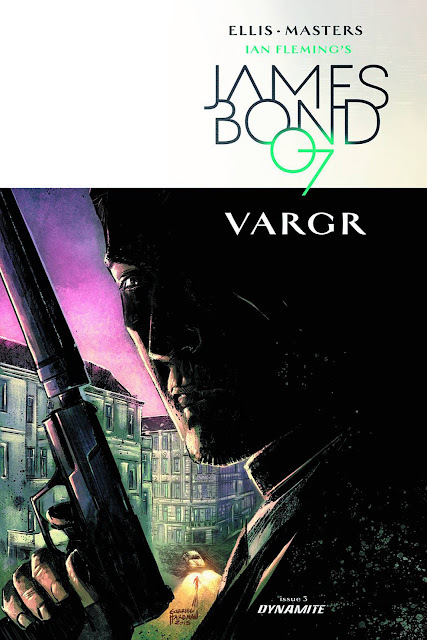 This made me check out the sales figures for VARGR during December and according to this web page VARGR had the 128 spot of of almost 400 comics during December with a total sales of 21 254 issues of the comic. I do not know if thats a good number or not. My guess is that this is the sales figure from Dynamite to resellers so there is no guarantee that these was actually sold to end customers. 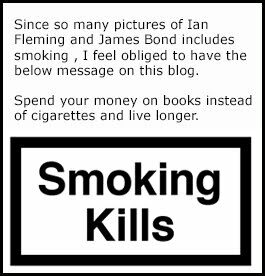 Ian Fleming Publications has said that they are planing for a new James Bond comic adventure and I sure hope they will stick to that plan. I have not yet read the story. I am waiting until I have all six comics at home to sit down and enjoy them all at once. Below you will find the two covers that was released for issue 3.